Hello beautiful people! I hope you all had a fabulous weekend and you’re enjoying this fabulous Sunday whatever it is you may be getting up to. 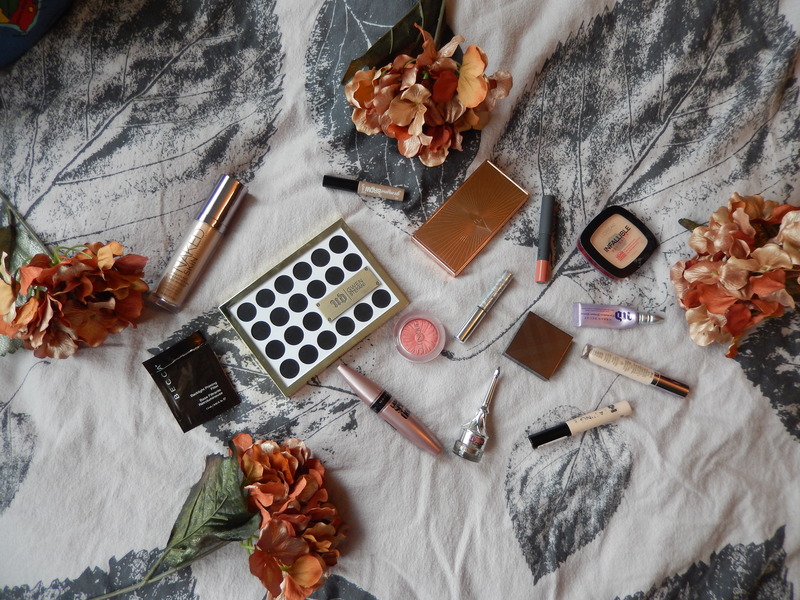 Last week I got my August topbox in the mail which is always exciting, because I absolutely love getting mail. When you’re subscribed to topbox they actually e-mail you a few weeks before they send them out and ask you to set a wish list, which is normally for a box that is sponsored by one specific brand, so for August I picked the Benefit topbox on my wish list and actually received it! 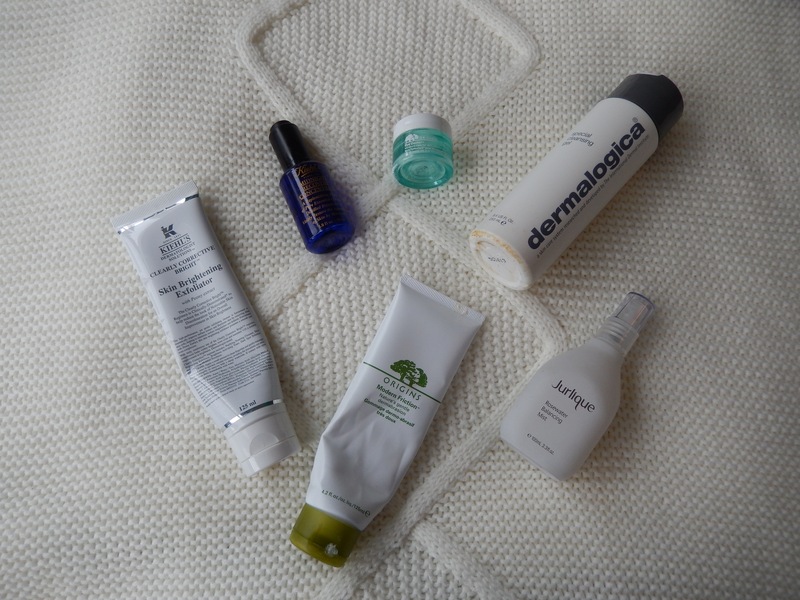 which is awesome because I really wanted to try out a couple of these products. 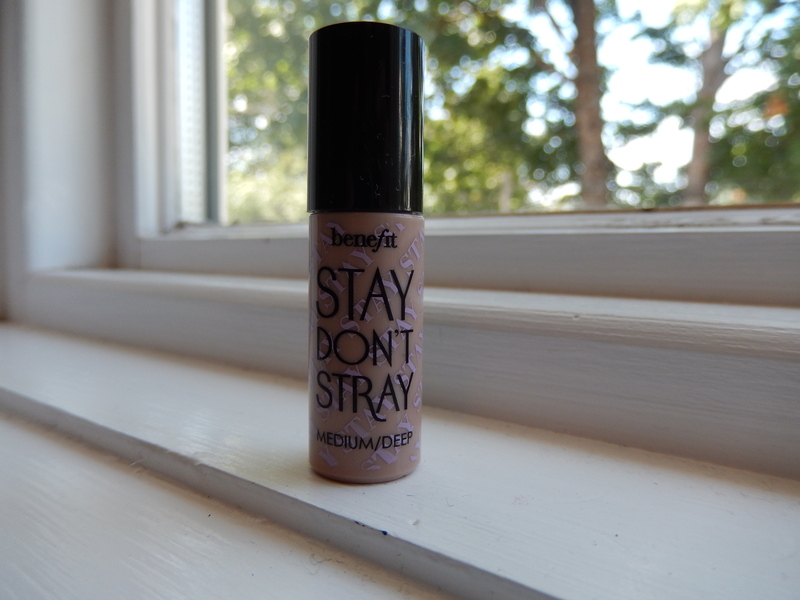 This benefit topbox was “They’re real” themed as they’ve recently brought out a few new products in that range, so I was quite interested to see what those were like since they they’re real mascara is such a smash hit internationally. 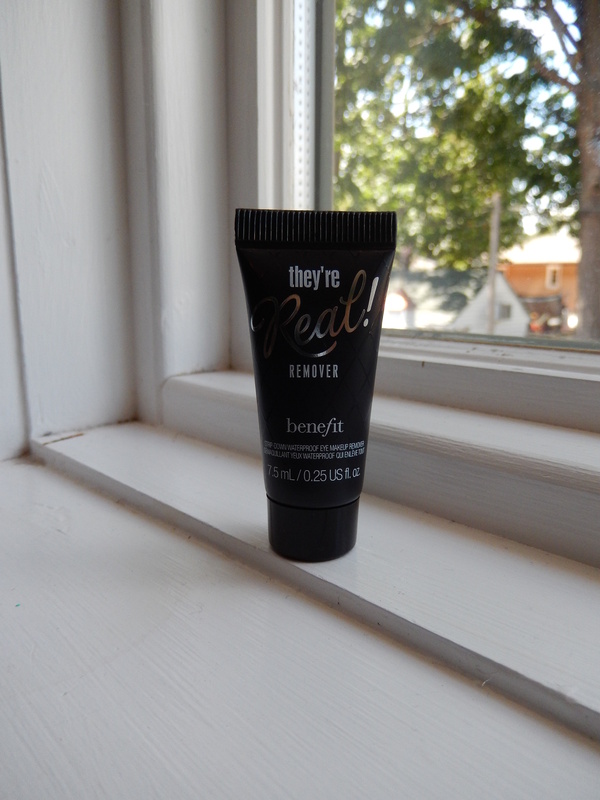 Speaking of which I did receive a sample of the they’re real mascara and to be honest this is not my favourite but I do enjoy using it for long days or nights out because the formulation does really stay put without flaking or smudging! 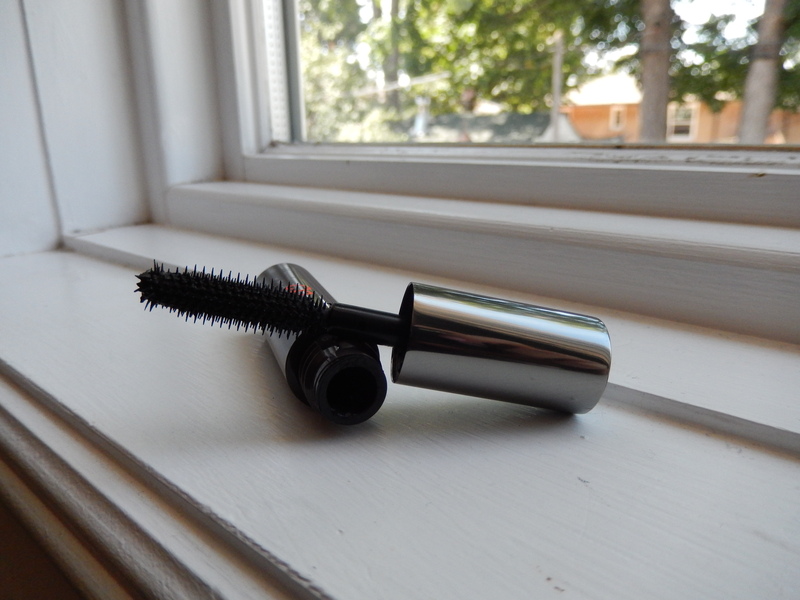 In terms of length I do find it to be quite a nice product but it definitely clumps in my lashes, which is not a look I’m a fan of for everyday use. I also find it to be quite expensive at 29$ for a full size so I’ll probably just keep using the samples I get (I have about 5). Next I got the they’re real remover which I wasn’t the biggest fan of. I don’t really like cream eye make-up removers to begin with and I found this one to really smudge product around making even more of a mess all over my face as opposed to nicely removing it without too much smudging. It does break down eye liner and mascara well though, it’s gentle and doesn’t tug, I just put some on a cotton pad and held it on my eyes for about 30 seconds and then started to gently wipe away all my eye make-up, it just smudged it a lot which I found annoying. If you like cream eye make-up removers this is probably a great product for you, but I think I’ll stick to my liquid one from shoppers drug mart which is also a lot cheaper as this one is $22. 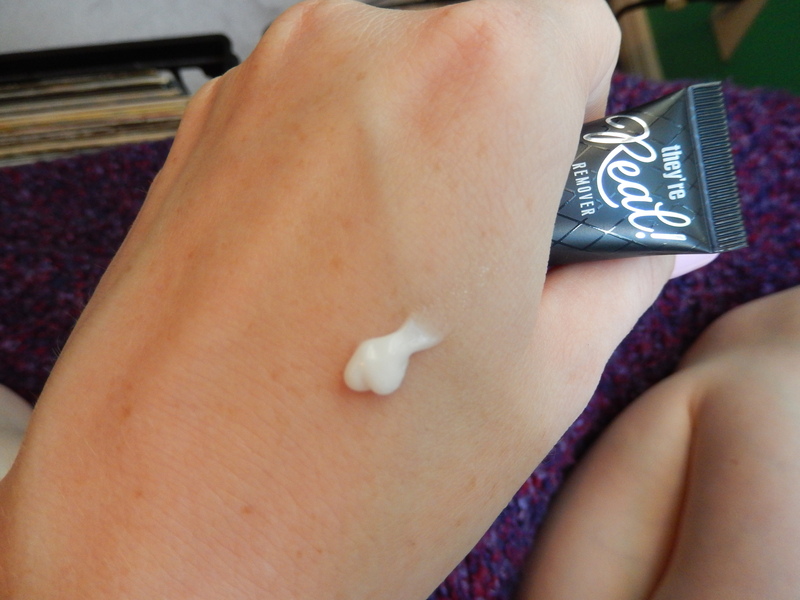 I am a huge fan of the urban decay primer potion and had never really tried any other primer but I was pleasantly surprised with the benefit stay don’t stray eye primer. It has a doe foot applicator making it easy to apply, and a nice creamy formula that isn’t too sticky. I got sent the colour medium deep which is a little dark, I would probably pick up the lighter one if I was going to purchase a full size ($30). 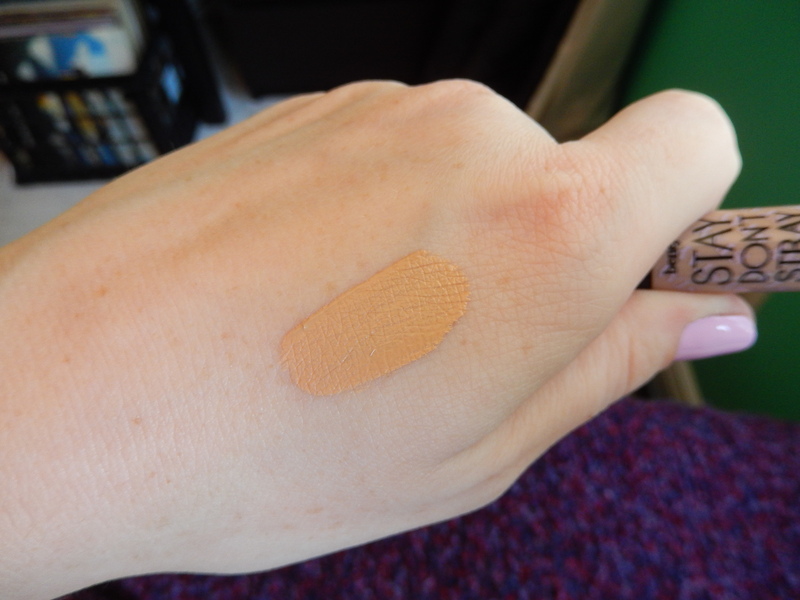 The cool thing about this is that you can use it under your eyes to set your concealer as well to keep it from creasing which is why I would want the lighter shade, but for my lids this sample was perfectly fine. I used this and went out for about 8 hours and when I got home I didn’t have a single crease in my shadow so I was truly impressed and may be picking this up when I run out of my primer potion. Huge thumbs up to this baby. 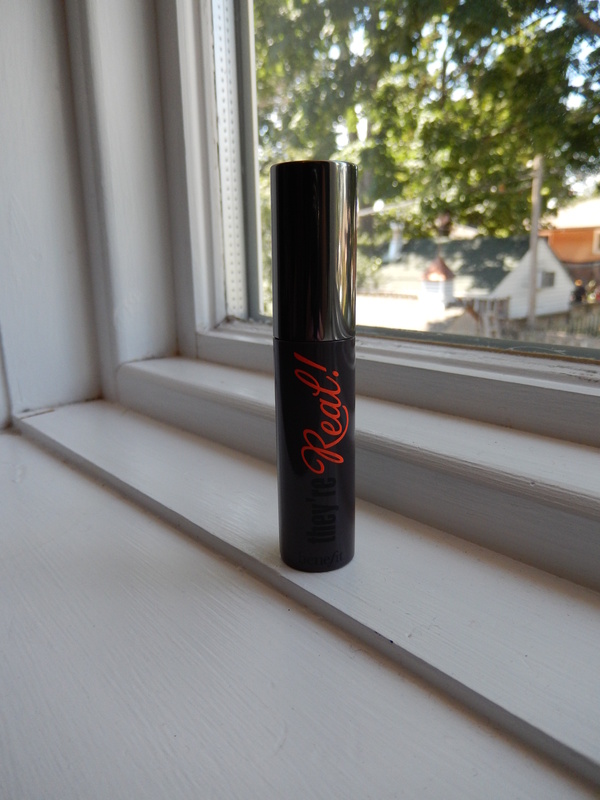 Last I got the new benefit they’re real push up liner which I was very anxious to try as everyone has been talking about it ($29). It’s a little bit odd at first because it’s a gel formula but it comes out of this little rubber tip which is supposed to mould to the shape of your eye making it easier to apply. The sample is quite small so I found it hard to use because the sample is so small and when you “push it up” it comes out in a glob so I found I was putting a blob on the back of my hand and sort of dabbing the applicator into it and then applying the liner to my lid which is a lot of effort for something like this. 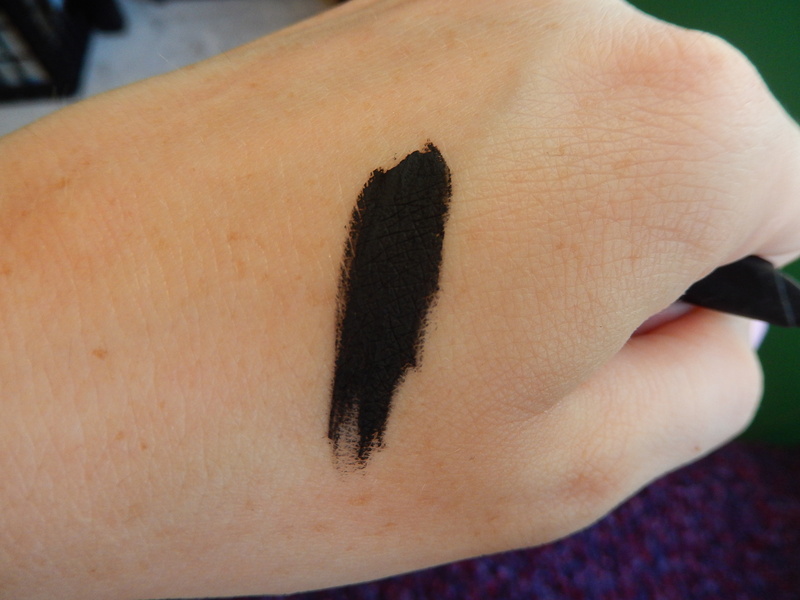 The formula is gorgeous though, the liner is matte black and super smudge proof which is great if you’re wearing it all day/night, I hope that with the full size product it’s easier to hold but I found it pretty hard to navigate. If the actual liner came in a pot I would be more inclined to buy it and use it with a brush, but I’m definitely not going to give up and keep using the sample to see if I can get the hang of it because the gel liner itself is gorgeous. 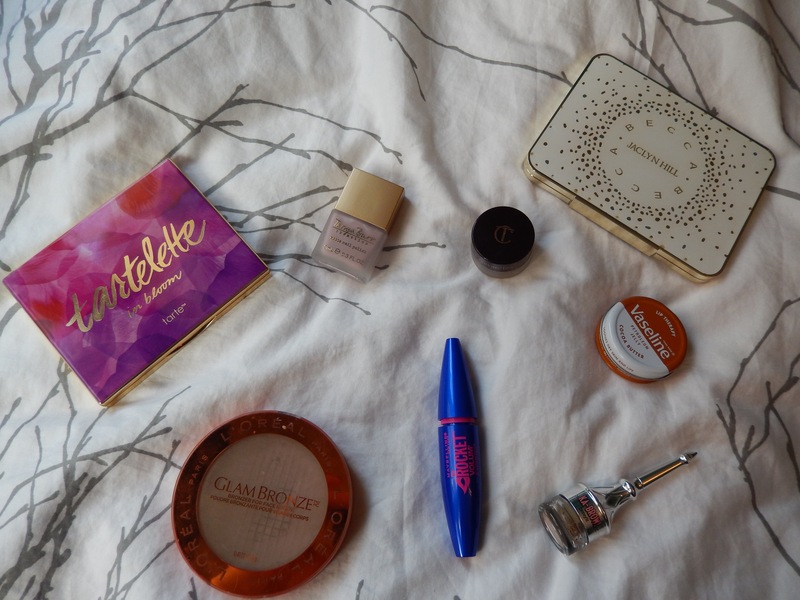 That’s everything I got in my August Benefit topbox, let me know in the comments if you guys have used any of these products and have any tips or tricks. Oh! And I just signed up for blog lovin’ so please follow me! The icon is in the sidebar on the right! 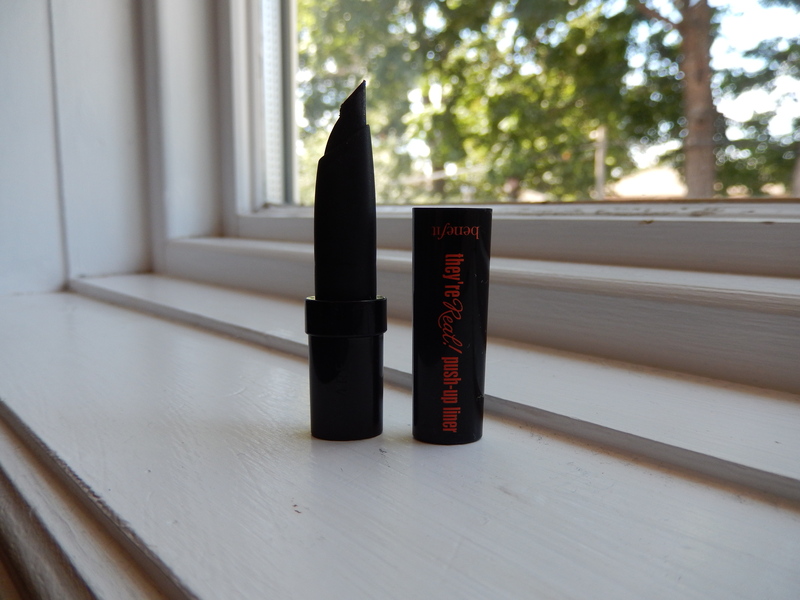 The liner has a gorgeous formulation! if you can figure out how to make it work for you I would definitely recommend it! Do you know anything like topbox for the uk?